In the span of a few short years the Korean conglomerate that could became a company rivaling Apple in profit amounts, and mostly riding on the success of its Android handsets, especially the flagship Galaxy line. As if to prove how big it is now, and to double down on the all-important software efforts, Samsung is now a company with its own developers conference. That's right, after Apple, Google and Microsoft, Samsung is showing that it is at least that important for developers, gracing them with their own dedicated event. Things will be happening in San Francisco (where else) October 27-29, and you can participate in the exciting opportunity to preview the new version of TouchWiz. 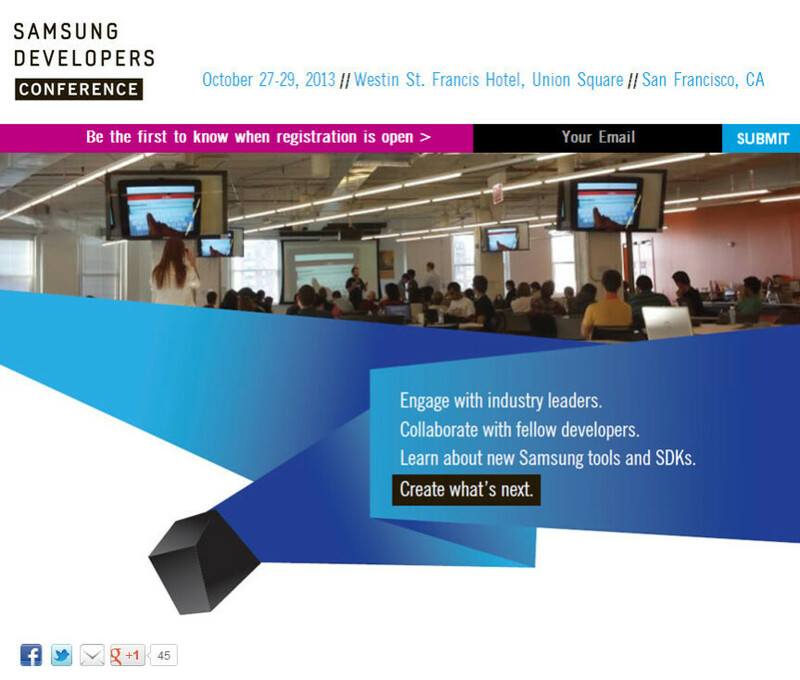 We kid, but the conference will be focusing on Samsung's software toolkits and general mingling. It will be a first for everybody, so we'll definitely be watching the developments closely. Good move by Samsung. It will help them improve already great products. One thing they really need is a great design language for next year's flagships because I don't see that happening with Note III. Anyway let's see how it unfolds. There is a reason why consumers move to Samsung... They "LISTEN" to their customers, and give them what they want... It takes courage and time to make these changes, but with the great Devs, and customer service and support, Samsung is #1.
at least those "cheap plastics" wont have any scratches/defects coming out new from packaging box like some certain overpriced fruit brand toys. blow up in pants with non-genuine 3rd party batteries? ya, nothing wrong with that as well. Samsung wanna be Apple by force! but good move.